Its first act really is gorgeous. Inspired by Gabrielle Chanel's collection of diamond jewellery - unveiled in the year after which the perfume has been named - it almost literally sparkles. Citrus notes catch the light, a burst of powder shimmers with platinum elegance and even the pear note - a brave choice for a boutique scent - adds a glow of luminosity. Then comes the truly impressive moment, a near-perfect alignment of the composition's main players: iris, jasmine and vetivert. The former lifts the whole up to a pristine sky dotted with stars. The latter keeps proceedings grounded with its weighty, dependable earthiness. And the jasmine does what does jasmine does best: coaxes the wearer into the belief that no other smell could possibly be richer, more sensual and more luxurious. After this, the balance is lost. By no means does the scent go off kilter completely - indeed, it is never anything less than extremely pleasant throughout its life - but it fails to reach the heights attained by its opening moments. The vetivert takes over, synthetic musks come into play and the fruitiness turns into mere sweetness. Or, to put it a different way, the composition falls away from the concept of rarefied, ultra-chic jewels composed of stones which epitomise longevity, affluence and glamour. I don't mean to be too harsh on 1932; if the above sounds highly critical, that's probably because it reflects the extent of my disappointment. Shortcomings aside, Monsieur Polge's latest certainly offers a fair number of pleasures. 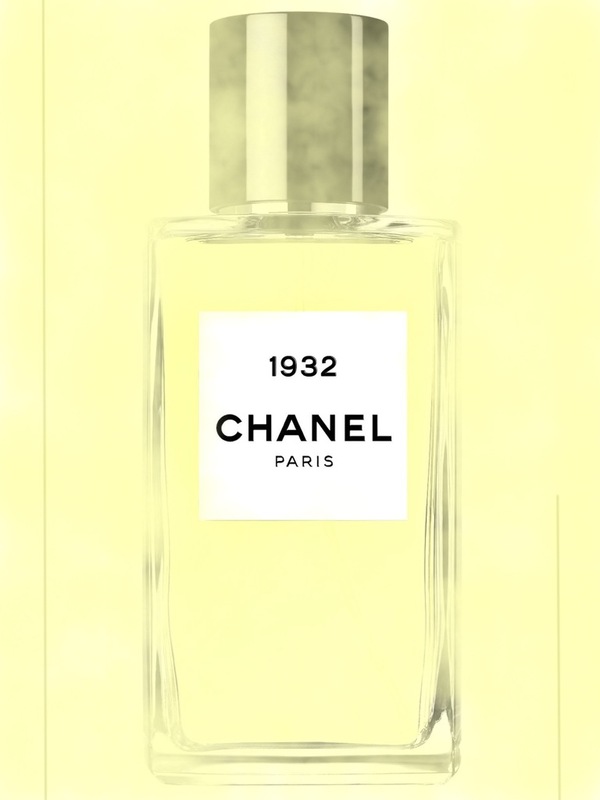 For one thing, it makes an interesting point of comparison with several other entries in Chanel's portfolio: if you picture No 19 on the extreme left of a 'green-vetivert-iris' spectrum and 28 La Pausa on the extreme right, 1932 is somewhere in the middle, not far from No 19 Poudré. That, in itself, makes it worth trying, as it provides a glimpse into the different ways in which a perfumer can revisit and reinterpret familiar notes. But ultimately, it reminds me of a comment a friend once made about all the Exclusifs fragrances. He said that although he thought they were good, not a single one was brilliant enough to cause him to forsake his soul in order to obtain a bottle. Whilst I don't agree with his assessment of the range as a whole, in the case of 1932, I can see exactly what he means. This perfume sounds as though it smells lush and expensive. I wonder if the beauty of the opening would be worth the normalcy of the rest of it? Jen R, thanks very much indeed, and thank you for taking the time to write. 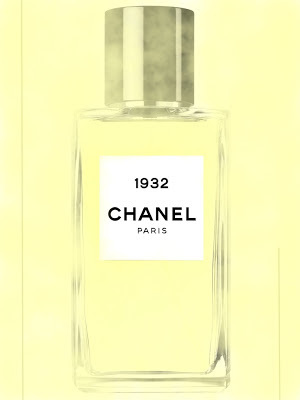 You'll have to smell 1932 for yourself to answer your question ;-) If you do, be sure to come back and let me know what you made of it. What a wonderfully insightful review. Despite it being so enticing, I have held off 1932 for the time being on accord of it sounding so tempting that it might end up being a rash purchase to far. Your cool headed words have lulled me into a sense of - I hope not misplaced - calm and I'm ready for the off. I must remark that in your precise placing, it does sound a lot like a quieter more light handed nouvelle aldehyde than some seem others have noted. Perfumed Dandy, thanks for your detailed comment. I'd say it's definitely worth sampling, but I guess it isn't quite special enough to take its place next to Coromandel, Cuir De Russie et al.